Most cinema staff will laugh you out the door if you ask to borrow their big screen for a little PC gaming. You’ll likely have to settle for the small screen at home – but that’s not always a bad thing, and doesn’t necessarily have to be that small. Projectors, proschmectors… just want a regular screen? Here are the best gaming monitors around. Optoma make projectors. It’s what they do best, and they have a vast lineup of these home cinema machines ready to turn any blank wall into a visual bacchanalia. The Optoma UHD60 is the poster boy for affordable, 4K, HDR, home cinema machines, and it cannot be matched on price. The Optoma UHD60 isn’t short throw, like the projectors we’ve taken a look at recently, so you’ll need a good few metres of space to really make the most of the projector’s full-span 7.68m wide image, but even at that long distance the image is incredibly vibrant – even with the lights on. For film and TV, the projector really excels, but we are here for PC gaming, so swap that HDMI to your graphics card and get gaming in glorious 4K… well, wait one second. You need a HDMI 2.0 cable for the full 60Hz, so make sure you have one ready, and you’ll need a 4K capable graphics card to push those 8.2 megapixels of visual data. If your PC is fitted with a CPU older than Intel’s Kaby Lake, you’ll also need one of Nvidia’s 10-series cards to even stream 4K content – thanks to everyone’s favourite PlayReady 3.0 DRM. Once up and running, however, gaming on the UHD60 is absolutely stunning. The projection is vibrant, and exceptionally detailed – it’s easy to forget the image isn’t running straight off a mammoth panel until you turn the beamer off unveiling your bland off-yellow wall. The image can be a little over-saturated in-game, but this is quickly resolved by dropping the Brilliant Color setting down to one. Luckily, my cave of a living room finally comes in handy with a projector, but even with the light shining in, the 3000 Lumen UHD60 was far from washed out. 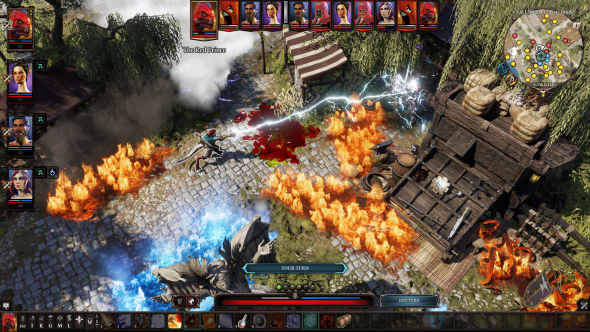 Loading up a game of Divinity: Original Sin 2 was a joy on the UHD60, the projector plays well with vast RPGs, and likely strategy, building, and other expansive game genres too. Without some lap-based keyboard peripheral, however, I was demoted to using a controller, which isn’t the end of the world if game support is up to the challenge. The projector’s fans aren’t particularly loud, although the design will blast you with hot air if you are sat in front and slightly below the projector – great if you want to save on heating bills this winter. While not necessarily an issue in a turn-based title like Divinity, what is far more noticeable in more action-packed titles is the input lag. 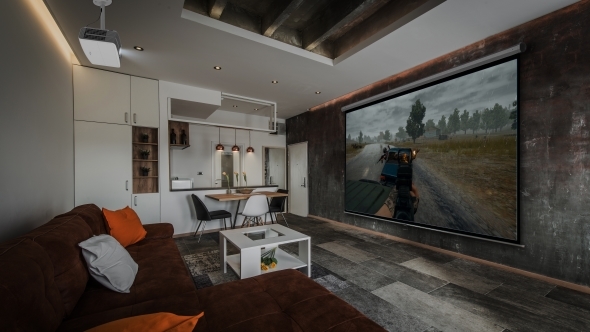 Unfortunately, the nature of projectors tends to skyrocket input lag far beyond that of even a HDTV, which many gamers might not be willing to settle for. That cuts any competitive gamers out of the projection fold, but that should come at no surprise. For the rest of us, the lag is noticeable – even in the projector’s game mode – but it’s no dealbreaker and depends on how perceptive you are to these effects, and which game genres will be your mainstay. What really makes the Optoma UHD60 special is the price. You might blow air out of your nose at the sight of the price tag being lauded as ‘affordable’ but for a 4K, HDR-capable projector, it’s a steal. The UHD60 costs $1,999 / £2,500 – 4K doesn’t come cheap. The UHD60’s fantastical approach to single-chip DLP 4K is something to behold, while it still uses some pixel-shifting to mimic 4K to our lousy brains, it is tough to discern from a true 4K display. 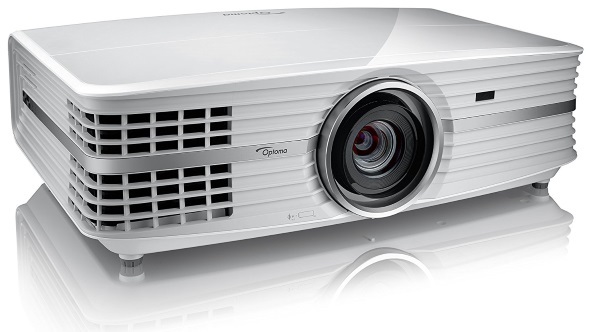 You could easily spend double, or even triple, the money on a comparable projector, and that’s what makes the Optoma UHD60 really stand out. With the money saved, you could pick up a handful of quality woofers and tweeters to complement the picture and complete the immersive gaming experience. Optoma have put together a menagerie of features – previously kept locked behind gargantuan price tags – into their UHD60 projector. Sure, it’s not a portable short throw beamer like the BenQ W1210ST, or Optoma’s own GT1080 Darbee (that features input lag reducing tech for gamers, too), but the enormous image span and incredible picture detail of the UHD60 brings new meaning to the term ‘home cinema’. Unfortunately, there isn’t a comparative term for gaming… home esports arena? Maybe. Whatever it is, the Optoma is as close as you can get at 4K without breaking the bank.